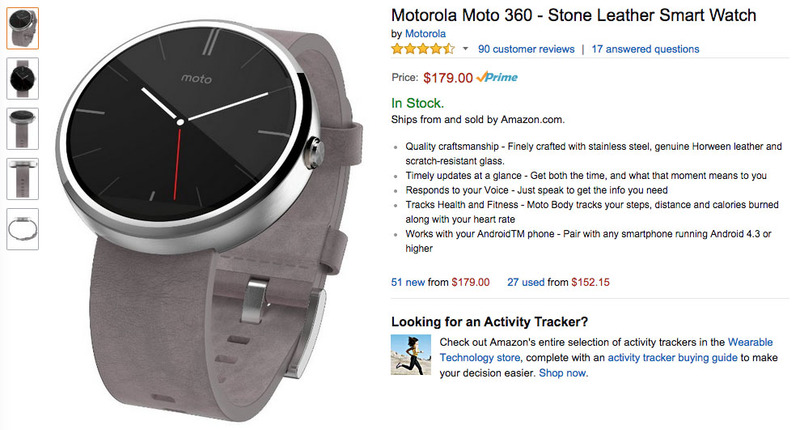 The Moto 360, which is arguably still the best Android Wear watch available, is now just $179 at Amazon and Best Buy if you choose the leather band option. After carrying a $250 price tag from the beginning, you are looking at a pretty drastic $70 discount here. If you don’t want leather, and instead want one of the metal bands, Best Buy has dropped metal versions to as low as $219, while Amazon is hovering around $229. The timing of the drop probably isn’t a coincidence, as today happens to be Apple Watch pre-order day. Hey, whatever the reason, we love discounts on fine products. If you need to catch up on the first round smartwatch, that features wireless charging, premium materials, and a classic watch design, be sure to read our Moto 360 review.